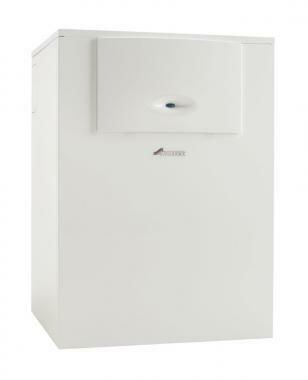 The Greenstar Highflow 550 CDi gas combi is a large floor standing combi boiler designed for larger properties with two or more bathrooms. The extremely high flow rate of 20 litres per minutes will satisfy the most ardent power shower as long as your mains pressure is of equal ferocity. With a SEDBUK 2009 efficiency rating of 92% the Greenstar Highflow 550 CDI is a highly efficient boiler and can be used with a wide range of optional mechanical digital wireless and new generation intelligent controls. The 550CDi measures 85x60x60cm (hxwxd) similar in size to a regular washing machine and with rollers on the base it should fit nicely under most kitchen top without damaging your floor. The Highflow range is also available in a 44kW version and both have a below average hot water efficiency (only 49%) which may cost you more for your hot water heating.